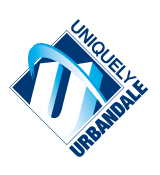 I’m so excited to join the Urbandale School District this year! I graduated from Buena Vista University in 2007, with a degree in elementary education and special education K-6 instructional strategist I. In 2012, I completed my master’s degree from Drake University in the area of special education K-12 instructional strategist II: LD/BD. I have 10 years of teaching experience, and 9 of those years I taught special education. I have always had a passion for education and believe we can accomplish educational success together!